We are pleased to announce the participating composers for Soundstreams’ seventh annual Emerging Composer Workshop (ECW). Our six, 2019 participants reflect the global reach of the ECW with participants coming from Canada, United States, United Kingdom, China, and Norway. Each year the ECW hosts an international and a local mentor composer, as well as a professional resident ensemble. This year, participants will be under the mentorship of Norway’s Rolf Wallin and Canada’s Dorothy Chang. Our resident ensemble for 2019 is the Rolston String Quartet. The ten-day intensive program includes a vibrant array of rehearsals, seminars, collaborative discussions, performances, and a variety of networking and professional development activities. The 2019 ECW takes place from January 25 to February 3, 2019. A public showcase of the emerging composers’ new pieces will take place on February 1, at the Alliance Francaise in Toronto. Read on to learn more about this year’s participants. Angela Elizabeth Slater is a UK-based composer. She is also the founder and artistic director of the UK-based Illuminate series promoting women’s music. In her PhD in composition at the University of Nottingham, Angela developed an interest in incorporating different aspects of the natural world into her compositions. She has been working on a series of works that engage with the natural world, musically mapping certain aspects into the fabric of her music. Angela has recently participated the Britten-Pears Young Artists Composers’ Course 2017-18, where she has worked with Oliver Knussen, Colin Matthews and Michael Gandolfi. Her work “Soaring in Stasis” was premiered at 2018 Aldeburgh Festival on 22nd June. 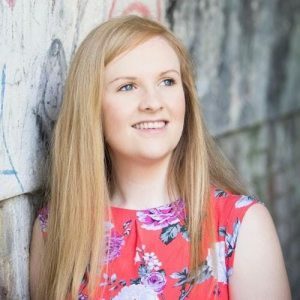 She has recently become London Firebird Orchestra’s Young Composer of the Year 2018 and will have an orchestral work premiered in June 2019. 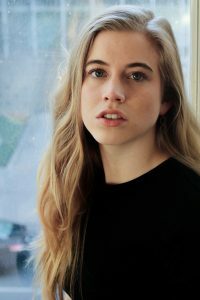 She is also delighted to be the winner New England Philharmonic’s 2018 call for scores, they will premiere her piece “Roil in Stillness” in April 2019. Angela has recently become a 2018 Mendelssohn Scholar and will continue her studies with Michael Gandolfi in Boston in Spring 2019. 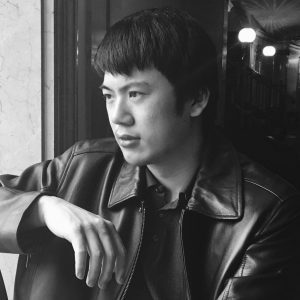 Chinese-Canadian composer Haotian Yu primarily works with ideas of ritual, materiality and gesturality through transformative applications of ancient Chinese aesthetics and philosophies, from literati landscape painting to Daoist metaphysics. He is currently a candidate for the Bachelor of Music degree at the Eastman School of Music as a recipient of the Lois S. Rogers full tuition merit scholarship, where his teachers have included Robert Morris, Carlos Sanchez-Gutierrez, and Ricardo Zohn-Muldoon. Additional studies include extended private studies with Brian Cherney and Steven Gellman, electronic music with Oliver Schneller, and lessons/masterclasses with Katharina Rosenberger, Kate Soper, and others. 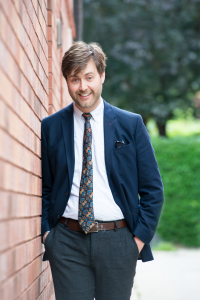 His work has been recognized by prizes and awards including the SOCAN Serge Garant 1st prize, two SOCAN Young Composer Awards, and the Wayne Brewster Barlow Prize and Louis Lane Prize from the Eastman School of Music. Tze Yeung Ho has worked in a wide array of projects in the past two years including the staged work “23.27” with storyteller Heidi Dahlsveen at the Norwegian Storytelling Festival, a one- woman theatre work — “leier.johak.tenant” — in collaboration with Amsterdam-based soprano Elisabeth Hetherington, two commissions by St. Petersburg-based Mol0t Ensemble, two commissions by Nynorsk messingkvintett and the operetta, “jeg gir faen i magnoliaen?” with librettist Linda Gabrielsen, which has been described as “an exercise in extremes” (Seismograf, DK). As a Norwegian-Canadian composer of Cantonese descent, Tze Yeung’s works are closely tied to his diverse background and are inspired by speech-sounds of the various languages he engages with on a daily basis. 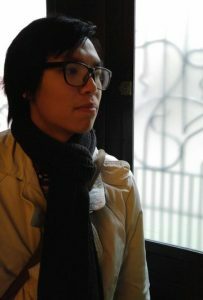 Tze Yeung is currently pursuing his PhD in composition at the Estonian Academy of Music and Theatre, under the tutelage of Toivo Tulev and Helena Tulve. He is a co-founder of the Oslo-based ensemble +47 and the treasurer of the Periferien nyMusikk Oslo concert series. Starting in 2019, Tze Yeung will chair the Norwegian board of the UNM (Ung Nordisk Musikk) festival for young composers and sound artists in the Nordic countries. Harriet Steinke is a composer and collaborator currently based in Detroit, Michigan. She has received recent recognition from the American Composers Forum as a composer-in-residence for the 2018 Showcase as well as summer fellowships at both the Norfolk Chamber Music Festival (Norfolk, CT) and Weekend of Chamber Music (Jeffersonville, NY). Performances of her work from the past year include premieres with the 2017 Ann Arbor SongSlam, the 7Songwriters Series (NYC), the Third Place Concert Series (Ann Arbor), the Circle City Chamber Choir (Indianapolis, IN), as well as forthcoming performances with the Grand Band piano sextet, Classical Revolution Cleveland, and the Choral/Composer Conductor Collective’s PREMIERES Workshop (NYC). She currently organizes the Detroit Composers’ Project, an outgrowth of some local collaborations, centered on facilitating performances of new music in the city of Detroit among area-based performers and composers. She studied composition with Michael Schelle, Frank Felice, and Ronald Caltabiano at Butler University and received additional training at the EAMA-Nadia Boulanger Institute in Paris, France. James Lowrie graduated from the University of Toronto’s composition program in 2013. His principal teacher was Christos Hatzis. He has also studied privately in Toronto with James Rolfe, Kevin Lau, and Linda Catlin Smith, and, while teaching English in France in the 2014/15 academic year studied informally with composer Jean-Philippe Bec at the Conservatoire de Rouen, lessons paid for with genuine Prince Edward County Maple Syrup. He is currently pursuing a Masters in Composition at the University of Western Ontario with Omar Daniel. James’s performance instrument is the classical guitar. A student of the great Eli Kassner for over a decade, James has performed at numerous events in Toronto including the Guitar Society of Toronto and solo recital tours in South Eastern Ontario. Though he is loath to admit it, the guitar is central to how he thinks about harmony and texture. The Bozzini Quartet, The FAWN Collective, The Array Ensemble, The Toy Piano Composers and the Caution Tape Sound Collective have all performed his works in concert. James has also worked as a stand up comedian. Careful sleuthing around Youtube might even unearth a few of his performances in this capacity. Yiguo Li was born in Changshang City, Hunan Province, China. 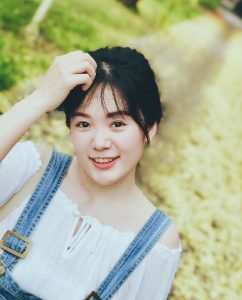 She graduated from the Shanghai Conservatory of Music in 2017 with a master’s degree, under the tutelage of Professor Wen Deqing, Professor Keeyong Chong and Professor Liza Lim. Her work “Lu Zhai” was selected for the 6th Shanghai Conservatory of Music Contemporary Music Week. Another of her works “The Chase” was performed in the 2012 Hamburg Music Festival. In 2015, Li’s “Ten Commandments” was awarded the third-prize at the ASEAN Guangxi Music Week for Art Song competition. In 2016, “Cloud” was also awarded third-prize at the ASEAN Guangxi Music Week for Solo Piano competition. Her composition “Single Wing Bird” was awarded the first session at the Shanghai Conservatory of Music [Academy Award] in the first composer competition. In 2017, Li was commissioned to write a chamber piece for the ACL -Korea international Conference & Festival. Her composition “Shadow” was premiered at the Seoul Arts Center. In December 2017, her composition “Hippy Strings” was premiered at the Shanghai He Luting concert hall.